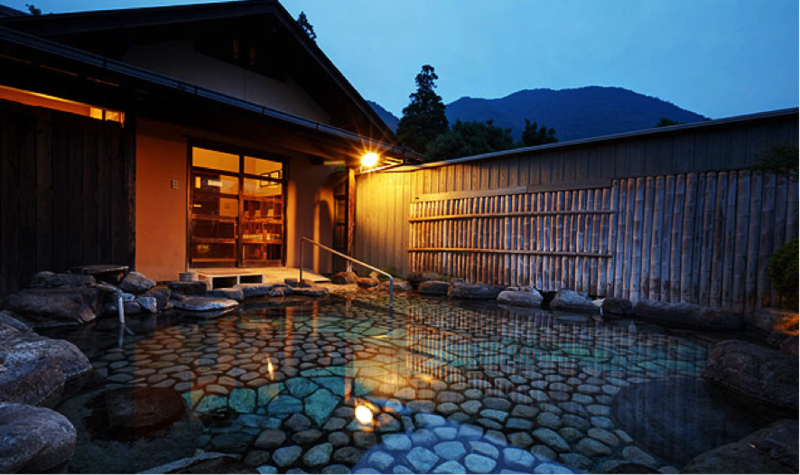 Yufuin Onsen (Hot Spring) is a leading hot spring in Japan, located in Oita Prefecture, Kyushu Region. Yufuin is well-known as a small, cozy town and one of the top destinations for people who enjoy slow life and wanted temporary escape from busy work life. 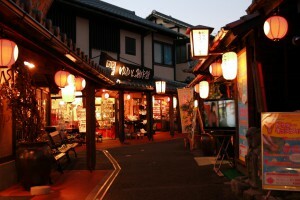 Beside from onsen, Yufuin also has lots of cute art galleries, restaurants, and shops. Yufuin is different from Beppu, its neighboring town, due to the fact that it is a popular tourist town with much larger and more developed Onsen facilities. 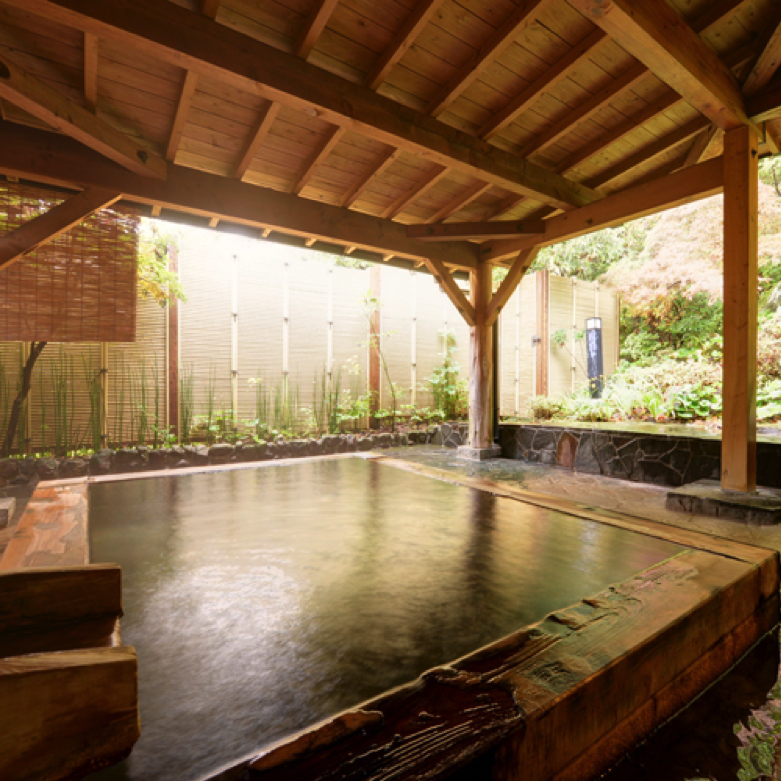 Therefore, most onsen in Yufuin are luxurious resorts with onsen facilities, unlike Beppu where most Onsen does not have lodging facilities. As Yufuin are located in a small valley surrounded by mountains, it is blessed with magnificent and abundant nature. 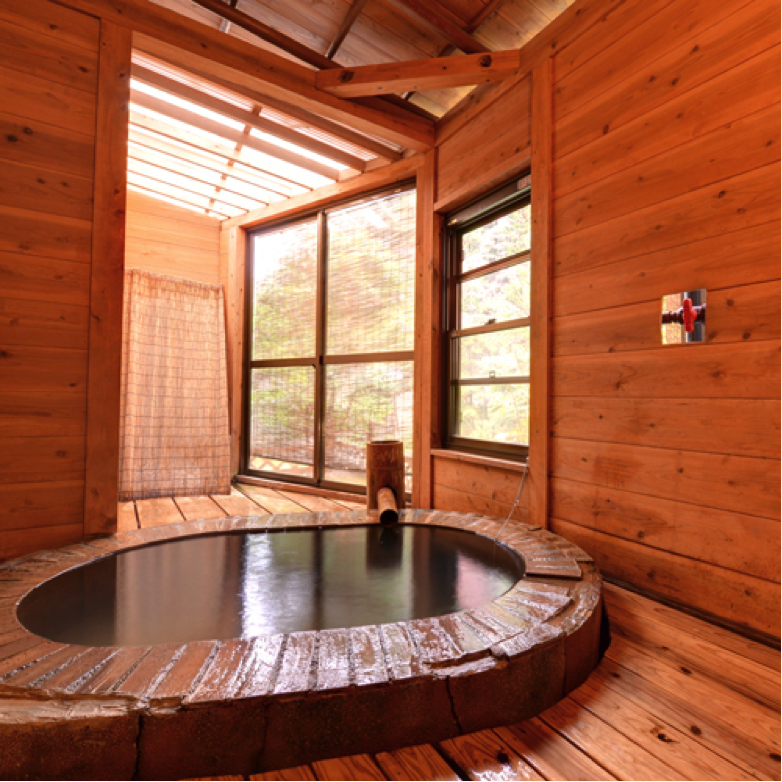 Therefore tourist will not only enjoy onsen experience but also enjoy the beautiful scenery and relaxing atmosphere. 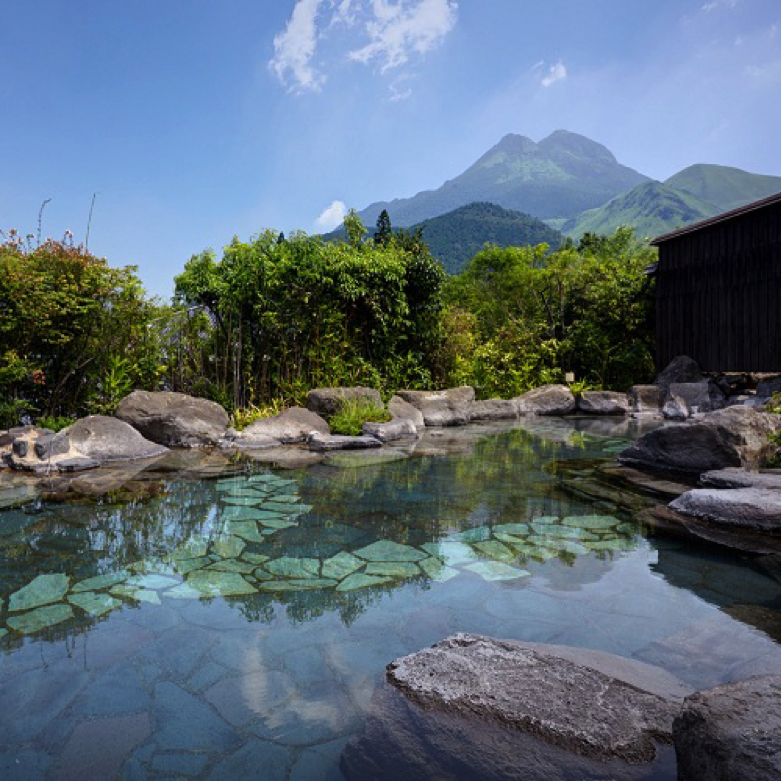 Moreover, Yufuin Hot Spring is also known as effective therapeutic bath, especially against muscle fatigue and skin diseases. Once you arrived at Yufuin Station or Yufuin Bus Center, you arrived at the main street called Yunotsubo Kaido (Main Street), which gives off the atmosphere of the Edo period. This street is filled with cozy cafes, art galleries, and a variety of cute shops which sell Yufuin or Oita specialty products, food, souvenirs, and many more. After a 30-minute walk, you will reach Kinrin Lake, which one of the most beautiful spots in Yufuin. (3) Rental Bicycle (JPY 200 for one hour). 【Access】: About 7 minutes by car from Yufuin Station (JR Kyudai Line) About 2 minutes by car from Yufuin IC *Free Parking. <Reception>: 8 A.M. ~ 10 P.M.
<Book Room・Parlor> 8 A.M. ~ 10 P.M.
＊＊For more information regarding the types of onsen, the resort utilities, etc. Please refer to the homepage (link above). About 10 minutes by car from Yufuin IC *Free Parking. Day Visitors: Open-air Bath (11 A.M. ~ 4 P.M.), Last Admission 3 P.M. Private Bath (11 A.M. ~ 2 P.M.) Last Admission 2 P.M. Tea Time: 9:30 A.M ~ 5:30 P.M. Last Order 5 P.M. Lunch Time: 11 A.M. ~ 3 P.M. Last Order 3 P.M.
Bar Time: 7:30 P.M. ~ 11:00 P.M. *Last Order 10:30 P.M.
About 25 minutes by car from Yufuin IC (bound for Oita) *Free Parking. Please take cautions of the rules regarding the usage of onsen, as different places have different rules. Some types of bath (open-air, private, etc.) require reservation, so please check at the reception once you arrived at the resort. Please understand that some onsen might not allow you to use shampoo and soap, due its effect on the onsen water and surrounding environment. Please take a shower again at your private room. 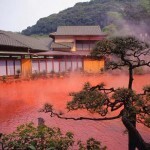 Beppu Onsen, the birthplace of hundreds of Hot Spring !